The Family Information Service at a large UK Council is using text messaging to speed up their free nursery place application approval process. Under the Government’s early years programme, Councils are able to provide up to 15 free hours of nursery education a week, for 38 weeks of the year, for all three and four year old children. 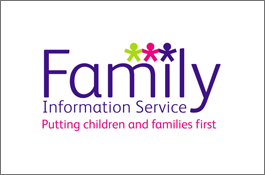 The Family Information Service (FIS) is the first port of call for parents wanting to find out about any entitlement they may have to free nursery education (and other subsidised schemes, like free school meals). At one large UK Council, parents applying for free nursery places were required to complete and return a form. In common with all paperwork, it takes time to process the form as it has to be manually dealt with and passed between case officers and staff throughout the decision making process. This was resulting in an application response time of around two weeks. The Council was also aware that completing forms is a real barrier for those with literacy problems and that these members of the community were the most likely to be entitled to free nursery places. A simpler, more accessible and familiar way of triggering the application process would make sure that that the most disadvantaged children in the community did not miss out. The Council was already tech-savvy, using social media to spread the word about the free child services available, so using text messaging seemed an obvious next step. As part of a Business Communications project to improve customer service, adopt more efficient and remote working practices and make savings throughout their 100 operational sites, the Council had already invested in a ProcessFlows text messaging solution to enhance communications. The text application is integrated with Outlook to enable FIS to send and receive text messages directly within their familiar email environment. A dedicated short code number was purchased from ProcessFlows. This short code number can be used by any number of users/departments connected to the network, but in order to differentiate them – for the purpose of routing inbound messages to the correct department and for establishing usage stats – a unique keyword needs to be allocated to each account. Anyone requiring information about eligibility for free nursery places from Family Information Services simply has to text the published keyword to the advised short code number to activate a new enquiry. Texts are received by FIS in a dedicated in-box. ProcessFlows’ Text Message Solution generates an automatic response, asking the applicant to text back the specific information required to establish entitlement. That information is then sent directly to a case officer for action. Within 48 hours, FIS will inform the applicant by text if their child has a free nursery place. Residents now know very quickly if their application has been successful and FIS has been able to reduce the time staff spend dealing with manually completed forms, which has freed them up to concentrate on more important tasks. News on the success of the FIS project has spread throughout the Council and other departments are asking the network team to set them up with bi-directional text communications. Expanding the use of text allows the Council to fully leverage their SMS investment. Each new user will have their own account, so department usage can clearly be identified for monthly billing purposes. This way, each department contributes towards the cost from their individual budgets, rather than it coming from the Council’s centralised IT budget. The Council have recently ordered and put in place two more SMS keywords to use with their 5-digit short code, improving services in other departments … The keyword ‘LABC’ is being used by Local Area Building Control to receive inbound SMS queries regarding Building and Planning Orders and ‘SSS’ is being used by the Sensory Support Service for inbound SMS requests for meetings and assessment slots. There is no limit on the number of keywords associated with a 5 digit shortcode, so the Council can continue adding new text services for as many departments as they wish.